We didn't go into Duncan with a red boar purchase in mind. However, when you come across one that offers so many positive traits you go all in. 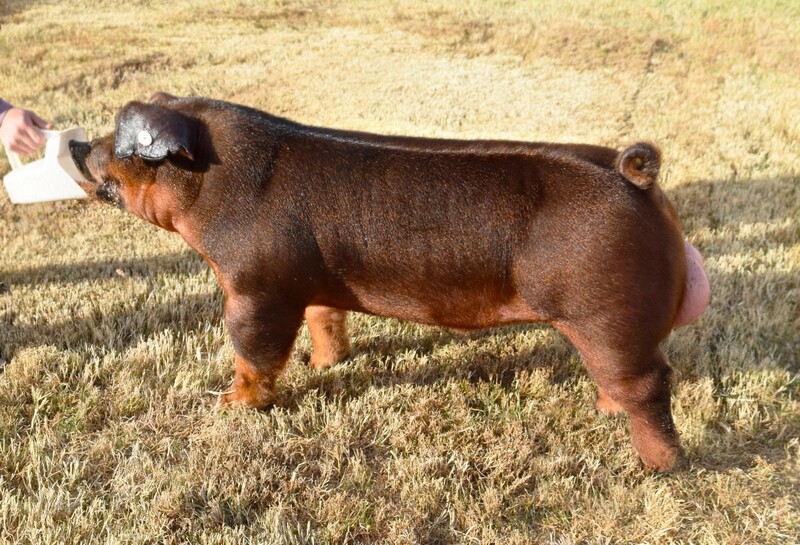 This muscle hog plays right into what the future holds for the show ring! Back shape like a crossbred which rolls into a big robust rib. Big bones and can flat go! 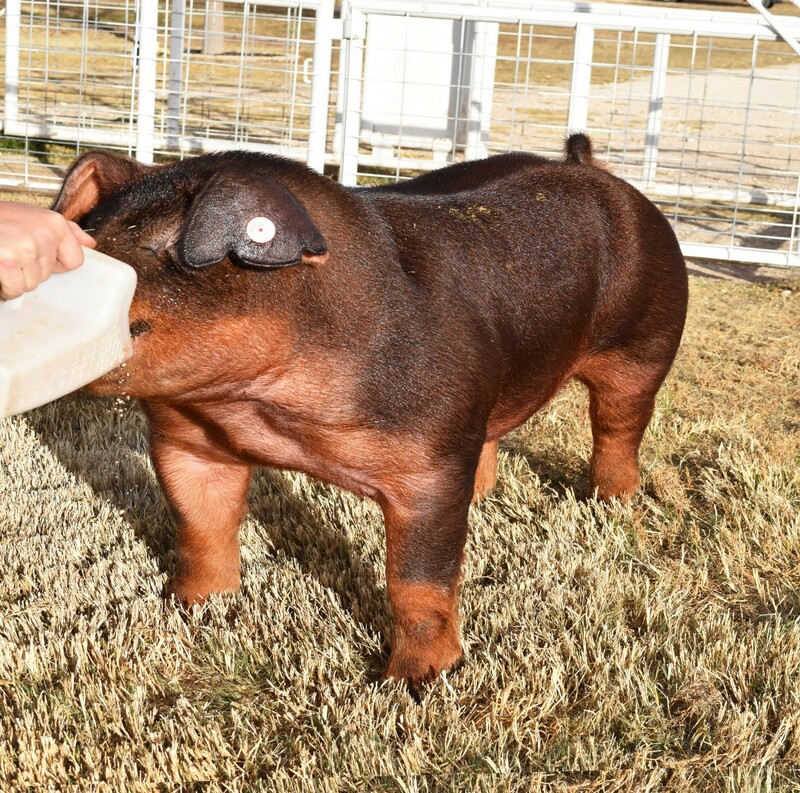 Spray Paint is not a one hit wonder either, two littermate gilts shown that looked the part as well. We are using him hard here at the farm so get on the books early.and add your own text. 2019and add your own text.